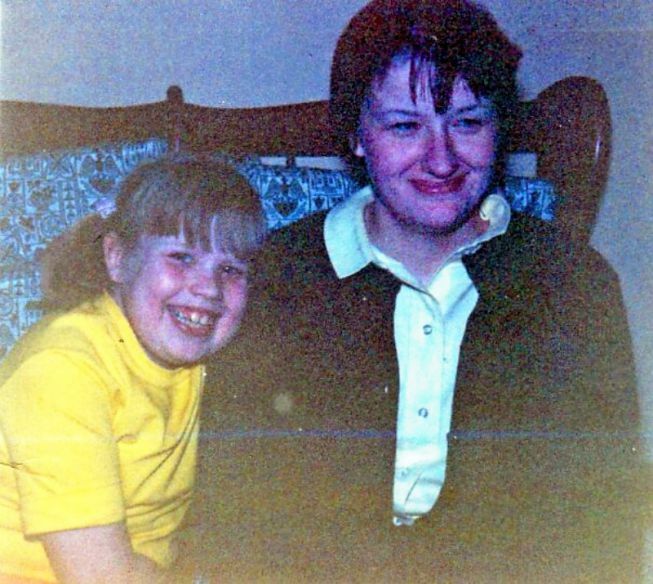 My mom died fourteen years ago today. Through the grace of God, I managed to survive 14 full laps around the sun without my guiding light. Grief is an emotional parasite that, at times, emptied me into a hollow shell of myself. I felt snared in a vapid, dusky night… unable to see the sunrise. I smiled through the paralyzing pain. I snickered through the unceasing via dolorosa that had become my identity. I was jubilant while the searing tears descended my crimson cheeks. I didn’t hide out in the confines of my bedroom because my mom never gave me that example during the trying years of her life. She wanted more for me, and I wanted more for my five children. Don’t get me wrong — there are days I still wallow — but the measures between those moments grows longer . Even though my mom’s no longer on this earth, she showed me the way. And I still ache for her guidance every day. Here’s a few things I miss most about my beloved mom. 1. I miss her baking. She was the only person I knew who could clean the house, make a big dinner, bake and decorate a birthday cake for the neighbor’s kids, complete with scented rosettes and beautiful lettering. 2. I miss her reassuring smiles, her warm, comforting embraces, her unparalleled compassion for anyone fortunate enough to look into her soulful, doe-shaped eyes. When she cared for my dying grandparents while nursing numerous foot and shoulder surgeries, she still found time to show compassion and love to everyone around her. 3. I miss her voice. I talked to her at least six times a day. How is it possible I have survived 14 years without her telling me what the hell to do? How is it that I still wait for my phone to ring at 8:30 a.m.? 4. I miss asking her questions only she can answer. Did I ever act that way as a child, mom? What was I like when I was 4 years old? Was my [daughter, son, son, daughter, son] like me? Did you have this happen to you? What would you do if you were me? 5. I miss her inappropriate humor, and becoming “punch drunk” with her She and I seemed to have a problem with laughing in inappropriate places, funerals, hospitals, church, you name it. Often, when we would go shopping, we would laugh until we could not stop, often causing onlookers to think we were drunk. Sometimes our incessant laughter caused a mad dash to the rest room! God, I miss you, Mom. When you died, that intense laughter died too. 6. I miss telling her about my life. I am a writer, mom. Remember when I first shared this dream with you? Mom, I recently co-authored a book. My kids are all grown up and you would be so proud of each of them! I have 9 grandchildren, Mom, which means you have 9 great grandchildren! Imagine how fun it would be at Christmas? 7. I miss seeing her sitting across from my children, telling them stories of her childhood and sharing her love of music and art with them. There was a magic about my mom. She was a blend of Julie Andrews, Cinderella’s fairy godmother and Carol Burnette. She could make the most sullen child laugh and she made it look easy. She was my Wonder Woman. 8. I miss sharing the holidays with her. She loved the day after Thanksgiving shopping (well before it was known as Black Friday). After a massive Thanksgiving Dinner, we’d make plans over dishes for the next day’s activities. I’d bundle all 3, 4 or 5 of my children into snowsuits and we’d leave at 3 am to shop the big bargains. We’d come home around 2 pm, exhausted, promising we would never do it again. But we always did. 9. I miss the things that once drove me crazy. none of which I will share here because I love and respect her too much. 10. I miss her validation. She helped me believe in myself and she believed in me before I could do so, myself. She helped me to dream. She told me the truth and she helped me get through an enormously difficult time in my life. I hope she knew how much her opinion meant to me. 11. I miss her companionship. She was my very best friend. A part of me was buried right next to her in St. Charles Cemetery. 12. I miss her unconditional love. No one loved me like my mom, and no one ever will again. This entry was posted in Uncategorized and tagged best friend, Bonnie Pieh, companionship, death, family, friend, gentle, kind, laughter, love, missing you, mom, mother. Bookmark the permalink. Those things all await you in that ‘eternal now’ where she is now.